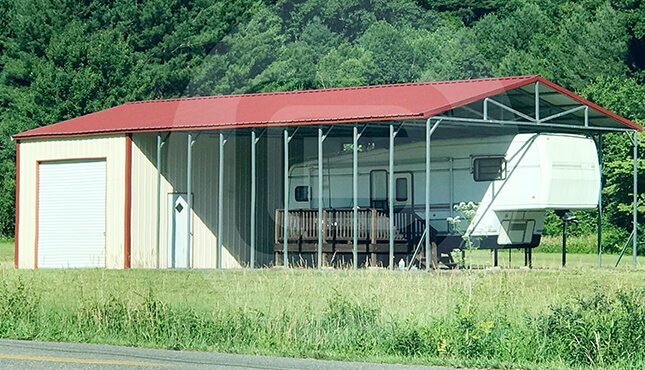 Metal RV Shelter with Utility – 30x51x12 with Vertical roof style. It has 16′ enclosed utility on the back with vertical panels on both sides and ends. 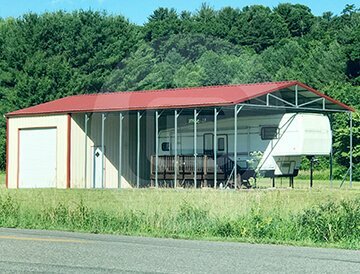 This big custom RV shelter is designed for parking your recreational vehicle and store heavy equipment. It has an enclosed utility area on back side with walk in door and metal up door. 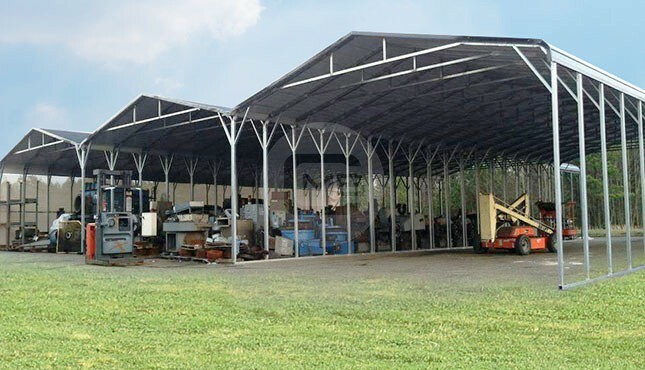 This RV Shelter covers more than 1500 square feet area to provide you huge parking space. This Utility RV Cover also features (1) walk in door and (1) 10×10 metal roll up door. Disclaimer: Truss or rafter system may be different according to what state we are installing.